The foundation of Jawahar Niwas Palace was laid in 1899 ad by the then ruling Maharwal of Jaisalmer, highness Maharawal Shri Shalivahan Singh Ji. 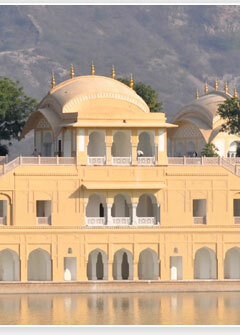 The palace is built entirely in golden sand stone by the Gajdhars (Masters Craftsmen), who have intricately carved its Jharokhas and Chhatries in typical Jaisalmer architecture. 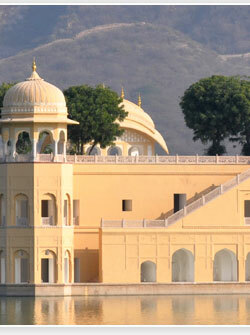 Its offers a breathtaking view of the fort, the surrounding city and rooftop view of the sunset is spectacular . Jawahar Niwas Palace has been renovated into an elite Hotel by the present Maharawal his highness Shri Brijraj Singh Ji, keep in mind the old ambience and regal splendour. Overlooking the town of Jaisalmer Hotel Rawal Kot presents the best of modern amenities while maintaining a medieval charm. 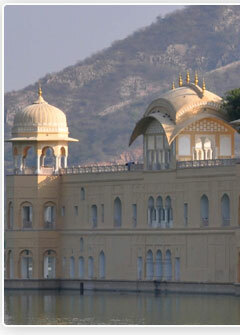 Perched above the town and seemingly rising out of the rocks, the hotel commands a vantage view of the fort and the town. The hotel offers excellent point to watch the setting sun. 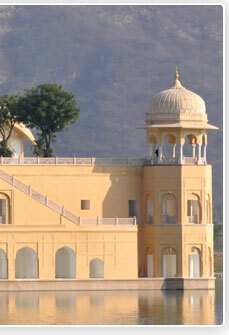 Inspired by the havelis of yore, the hotel has been constructed with an eye on every minutes detail. The large rooms get ample natural light and are tastefully furnished with local materials, colours and designs. Himmatgarh hotel presents the best of modern facilities for which every visitor looks for. Perched above the town and seemingly rising out of the rocks, it commands a vantage view of the fort and the town. The large rooms get ample light and are tastefully furnished with local materials and colors. 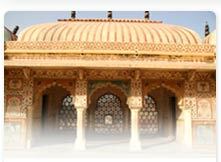 City: Jaisalmer - Rajasthan . Facilities: 50 rooms in main building/Tower wing , air-conditioned with attached bath, running hot/cold water; Telephone, TV in each room, Shopping Arcade, Money Exchange, Swimming Pool, Garden, Travel Desk.